The US Army announced in 1890 the closing of Fort Abraham Lincoln. Its mission, the protection of railroad survey crews and homesteaders into Dakota Territory, had been statisfied. The railroad had installed track into Montana in 1881 and North and South Dakota had earned statehood in 1889. Fort Abraham Lincoln had fulfilled its primary purpose and gradually declined until abandoned in 1894. 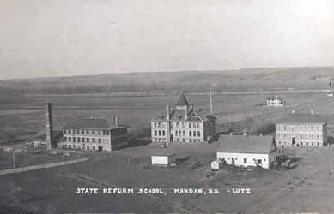 The original plan was to convert Fort Lincoln into into the state's reform school. However Eljiah Boley, a Morton County Commissioner and area landowner had another plan. In 1895 he deeded 40 acres of land for a site for this institution and with an additional 160 acres to be purchased from him at $10 per acre. However, the deed was later cancelled when frictions arose and the former Fort Lincoln site was proposed. Eventually, the current location was approved by the ND Legislature in 1901 and the facility was first opened to students on May 13, 1903. 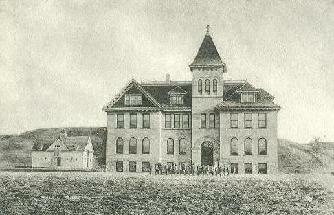 Since then, this facility has served as the State�s center of juvenile justice administration and operation under such names as the North Dakota State Reform School in 1903, North Dakota State Training School in 1920, the North Dakota Industrial School in 1961 and the North Dakota Youth Correctional Center (YCC) in 1995. 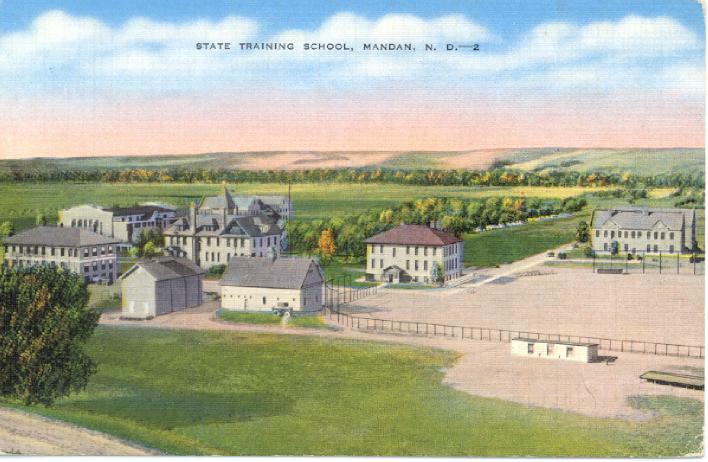 In 1938, the ND State Training School, was the only youth correctional center in the nation to offer high school classes, and only one of four in the US to house both boys and girls. Until 1947, the State Training School also served as an orphanage, especially for the children of criminals who were incarcerated. However other children, orphaned typically through accidents or other mishaps, were also assigned there. The current campus includes four cottages, administration and education facilities, a gymnasium with an indoor swimming pool, a chapel and a cafeteria. By converting one cottage into a secured facility for high-risk juvenile offenders, the site avoids encompassing its campus with a wall or a fence.